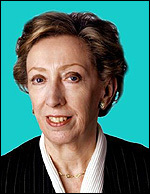 Below is the text of the speech made by Margaret Beckett on the 19th November 2002 on the Darwin Initiative. My Lords, Ladies and Gentlemen: we’re here tonight to celebrate the success of the first ten years of the Darwin Initiative, and to mark the launch of a new Phase of the Initiative. I am glad to see around me many longstanding ‘Friends’ of Darwin, including some who were involved from the outset. Others among us will be less familiar with the Initiative. I hope that after tonight you will all consider yourselves Friends of Darwin; and will help us promote it – especially our honoured guests representing many developing countries and, of course, the press corps. The Initiative has acquired a remarkable reputation for its achievements. A reputation which has reached far and wide. I am very pleased to tell you that we even have a message of support tonight from His Royal Highness the Prince of Wales. You will all get a copy of the Prince’s message on the way out. Charles Darwin, himself, is of course in the news at the moment. I see he is currently number [four] in the BBC’s poll of Great Britons. We certainly picked an iconic figure as our inspiration for the Initiative. – to conserve and use their biodiversity sustainably. Darwin projects can be influential, too. I believe that the University of York’s project in Belize played a small part in the decision last week to give the Whale Shark protection under CITES. The Darwin Initiative, was launched at the Rio Earth Summit and it was fitting therefore, on the 10th anniversary to review the Initiative and its budget. I was very pleased therefore to be able to boost Darwin funds by an extra 7 million pounds. As many of you will have heard, the Prime Minister announced this increase in his Maputo speech on the World Summit. The annual budget will rise next year from three million pounds to four million and will go up again year on year, rising to seven million pounds per year by 2005. This budget increase will help us do a lot more. And the Darwin Advisory Committee has been looking at plans for the future of the Initiative. You will see on our publicity materials the new Darwin logo. Still based on Darwin’s Finches, it reminds us of the very real challenges we face in safeguarding the world’s biodiversity. For only last week, we heard of the threat to half the species of Darwin Finch from a nest parasite introduced from the mainland. Professor David Ingram, Chairman of the Darwin Advisory Committee will have more to say on these plans shortly. The Darwin Initiative is, to my mind, a shining example of the sort of partnership we need to foster: partnerships that make a real difference in the work they do on the ground. Partnerships are not a new idea. But their importance is so fundamental that, in a novel move for the UN, over 300 of them were formally endorsed by Johannesburg. Let me say a few words about the Summit. We set out with an ambitious agenda. Rightly so. Yet the final deal – between the 180 participating countries – was a success. Some of those who pushed for more may have been disappointed. But what we did achieve, taken in conjunction with the UN Millennium Development Goals will – if implemented – represent a revolution in the lives of the poorest people on the planet, and the beginnings of a revolution in how we treat the planet itself. – a new target to halve, by 2015, the proportion of people living without basic sanitation:this will save millions of lives in developing countries. – new targets and timetables on chemicals, biodiversity, marine protection and fish stocks: these and other commitments will galvanise action and set standards for the next 10 years or more. – joint actions on reliable and affordable energy for the poor and to increase the global share of renewable energy sources: the Prime Minister announced that the UK’s Export Credit Guarantee Department will make available £50m per year to renewable energy exports to developing countries. Taken together, these represent a sizable agenda for change that will really make a difference to people’s lives and their environments. Making a difference is what the Darwin Initiative is all about. I would like to pay tribute to those far sighted individuals who developed such a successful formula. I am truly proud of what Darwin has achieved since its launch at the Rio Summit in 1992. But you don’t need to take my word for it. In a few minutes we will see a video of some of these achievements. First we will hear a few words from David Ingram. But before I hand over to David, I want to express my deepest thanks to the commitment and dedication of Darwin Committee members past and present. They are all unpaid. And yet they contribute above and beyond the call of duty – putting in time to promote the Initiative and the cause of biodiversity conservation generally; this, in addition to their bread and butter role of advising Ministers on the award of grants. They are of course, too many to name individually. But I should like to pay especial thanks to former chairman Crispin Tickell and current Chairman David Ingram. Finally, to all Friends of Darwin, new and old, I would like to say keep up the good work. Darwin the man, and Darwin the Initiative are an inspiration and I am very very proud of what we have achieved.